Thank you for taking a look at another unique piece of fiveninedesign inventory. 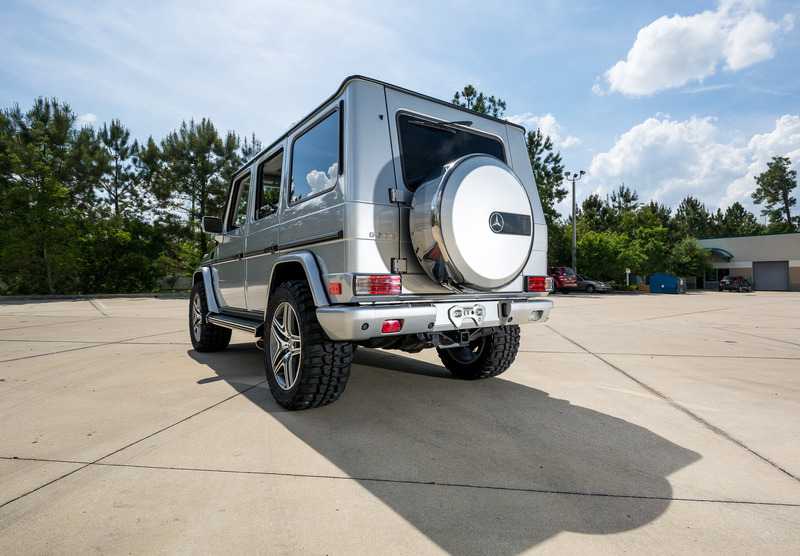 This 2007 Mercedes Benz G500 is the ultimate in luxury, off road capability, and stature in the Sports Utility Market. 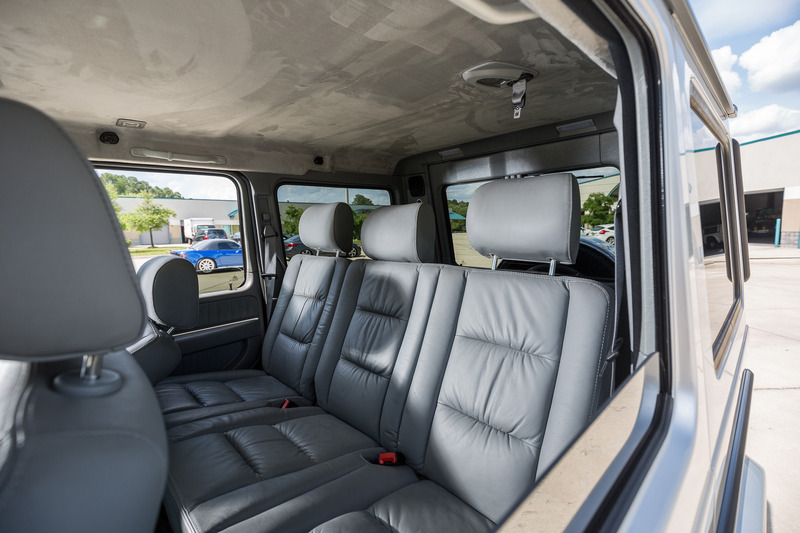 This truck is finished in Iridium Silver over Gray Leather interior, making for a perfect color combination for this vehicle. 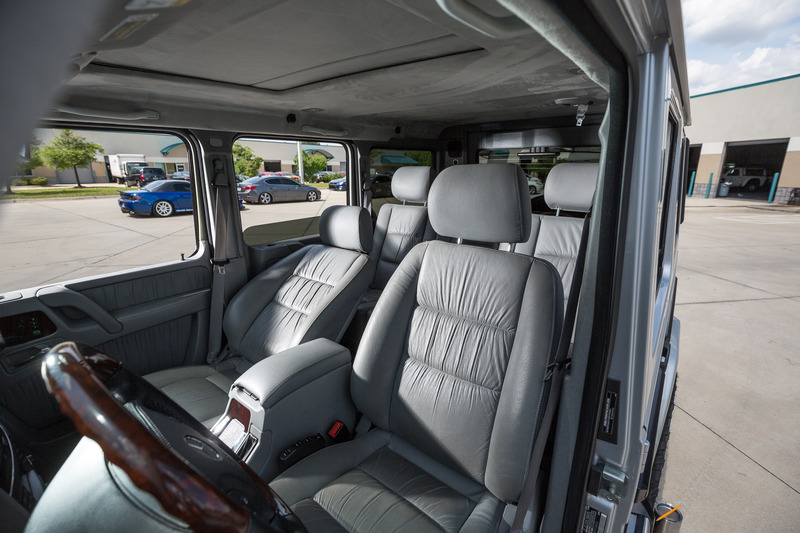 The truck came from the factory with virtually every option including COMAND, Heated Seats, HID Headlights, Illuminated Door Sills, Cornering Lights, Sunroof, Burl Wood Trim, and much more! 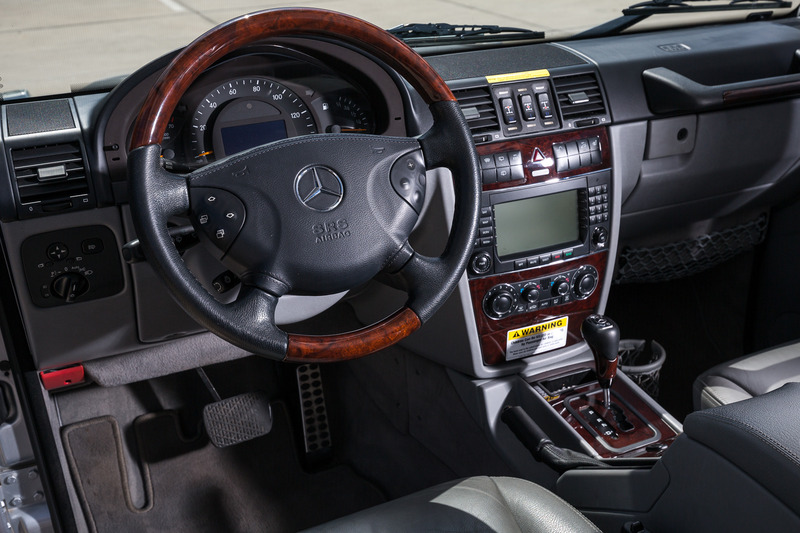 To add to the already visually impressive G500, we added a few simple touches. 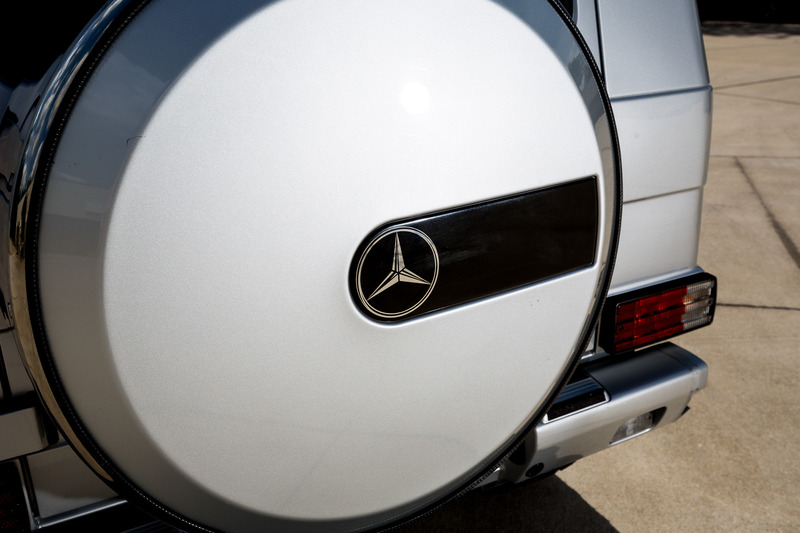 In some cases, a little goes a long way, and when it comes to these Gelandewaegen’s, less is more. 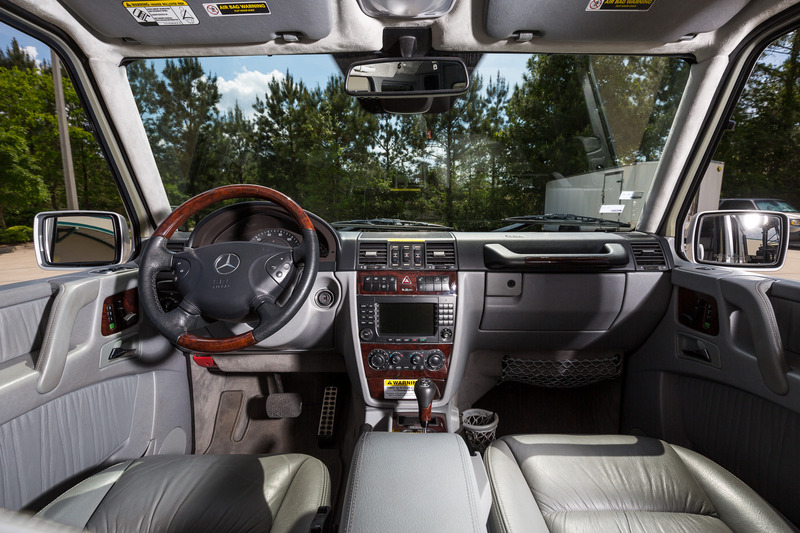 With the modifications added to our G500, the car looks, sounds, and feels like it should from the factory! 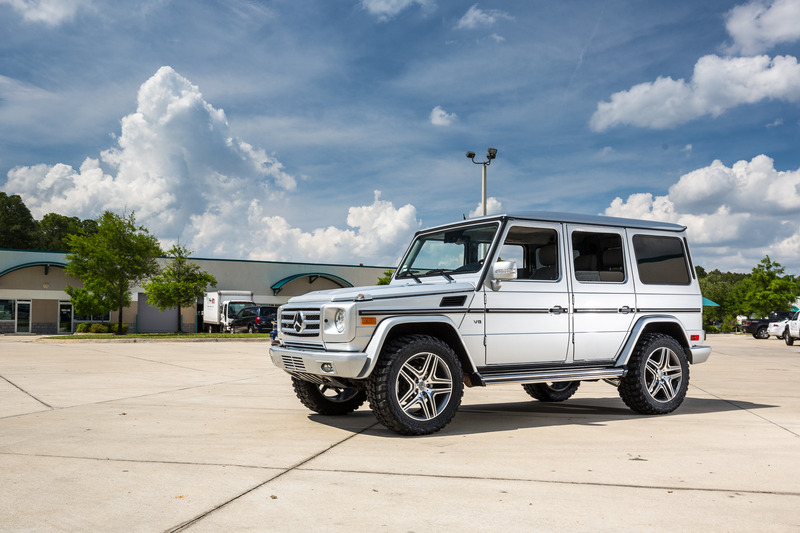 Mercedes Benz is going to possibly charge upwards of $400,000 for their G500 4×4², and this truck was created to look like a baby version of that. 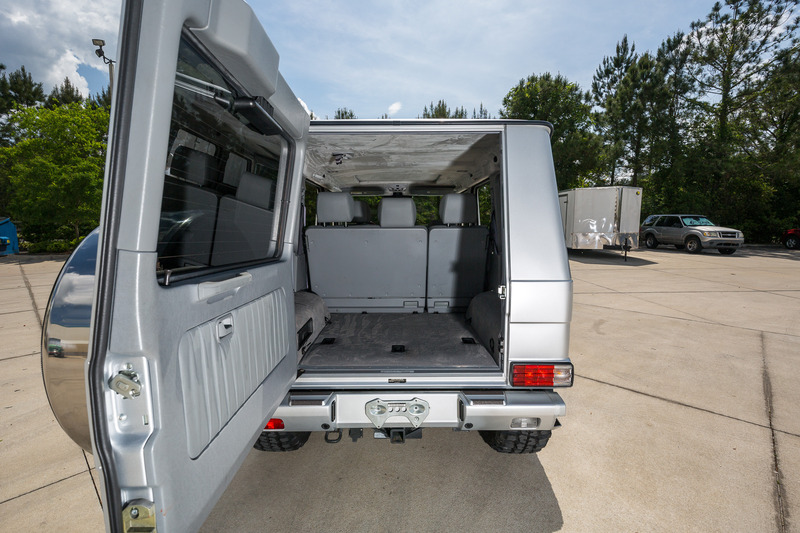 With the lifted suspension, the wheels and tires are proportionate to the truck. 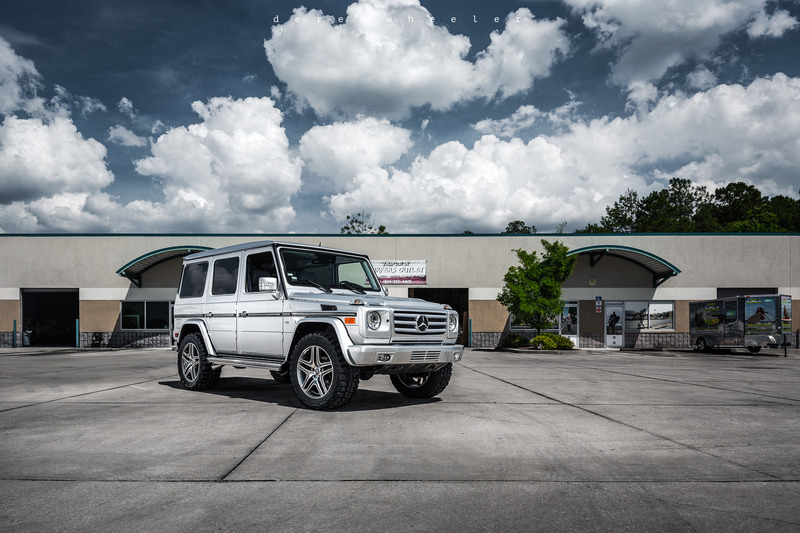 Park it next to a stock G500, and you will be AMAZED! The 2014 Grill was added to update the truck, and their are very little differences visually between a 2014 and this 2007! 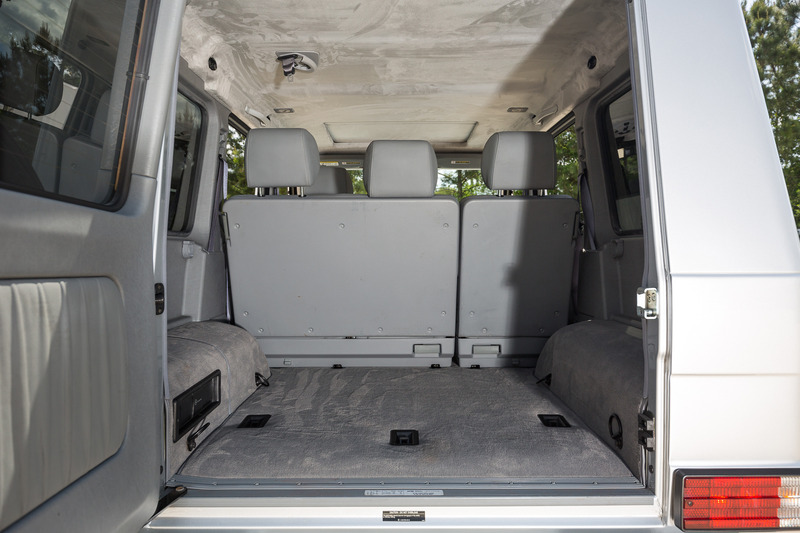 The Federal Tires are a great riding, and comfortably quiet tire. 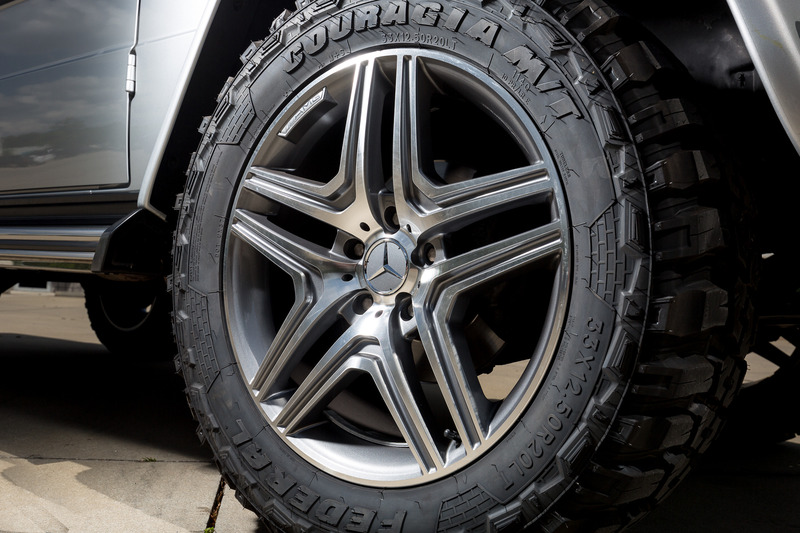 Made to have the ultimate look, and use off road, these tires are actually phenomenal on the highway. Mated with the insane sound proofing of the G500 from the factory, tire noise is barely an issue. Also, with the bigger tires, this truck drives like an absolute dream, feeling considerably smoother than any of our previous W463 G wagon’s. 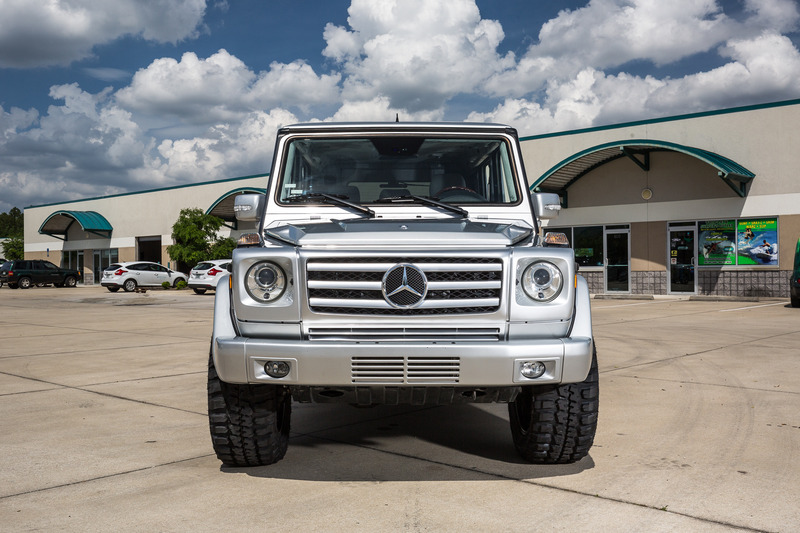 With the exhaust set up we created, we wanted the truck to sound very similar to a G55, and that is about exactly what it sounds like. It seemed like blasphemy to run dual tips on both sides, so the single, aggressive, rolled tip on either side is enough to let you know it has some grunt! 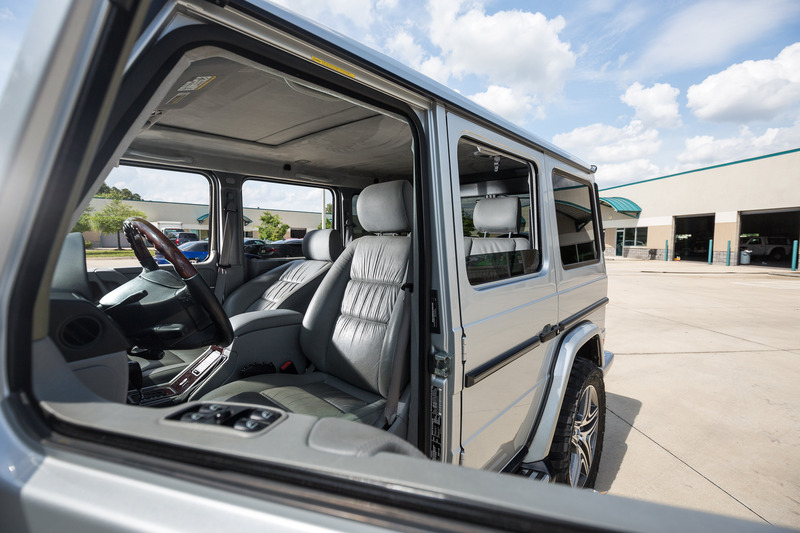 The gray alcantara headliner completely updates the interior of the vehicle, to the feeling of a 2014 G63 or G550, and the Kicker Replacement subwoofer adds the needed “umphh” that a several year old factory subwoofer lacks. Currently resides in Derry, NH.